The Brontës remain one of the greatest literary families of all time with the four siblings and their father writing and publishing works throughout their lifetime. Patrick Brontë, the father, was a curate in the parish of Haworth, England and the four out of six children living to adulthood were daughters Charlotte, Emily, and Anne, and son Branwell. People are most familiar with the works of Charlotte and Emily, particularly Jane Eyre and Wuthering Heights respectively. But the Brontës’ writings have not only become mythical in the lists of classics, they have also influenced many works by writers in all mediums across the ages. And it isn’t just the famous books that people gravitate to, the lives of the Brontës themselves also encourage a myriad of creativity. For the Lewistown Public Library, the newest Brontë inspiration will be performed on October 9th at 3:00 p.m. by the Montana Repertory Theatre. Brontë to the Future is a 55-minute comedy by playwright Laramie Dean about Charlotte and Emily and how their characters would behave in our current world and possibly in the future. The play is a one-day event, but the Library also carries other materials prompted by both the famous classics and the lives of these mythical authors. Reader, I Married Him is a collection of short stories inspired by the legendary line from Jane Eyre. 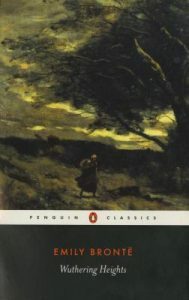 The Madwoman Upstairs (again conjuring Jane Eyre) is a contemporary fiction novel about Samantha Whipple, the last remaining descendant of the Brontë family, embarking on a modern-day literary scavenger hunt, using only the clues her eccentric father left behind, and the Brontës’ own novels. A recent biography of Charlotte, A Fiery Heart by Claire Harman, delves into Charlotte’s desire to rise above poverty and obscurity to become a woman ahead of her time. Charlotte may be the most famous Brontë, or the one we know the most about, but Emily will always be my favorite. Called a “wild genius,” Emily could not live away from fresh air and her beloved moors. She unfortunately found this out while at school in Brussels when she became so ill she could not rise from her bed thus prompting Charlotte to send her home. It was at this time Emily wrote the heart-wrenching tale of Cathy and Heathcliff, a passionate and violent novel about a love that endures the test of time. In Emily’s honor, we have the novel Emily’s Ghost a fictionalized account of Emily’s supposed own love affair with a local clergyman. Along with the actual classic novels, the Library carries three film adaptations of Jane Eyre, one of Wuthering Heights and one of Anne Brontë’s novel, The Tenant of Wildfell Hall. The coming of fall always brings the Montana Repertory Theatre to the Library, and I am very excited about this re-imagining of Charlotte and Emily and their novels. We hope that you have a chance to attend the free production on October 9th at 3:00 pm, but if not perhaps it is time to reread Wuthering Heights or check out other books, movies, and audio CDs related to this celebrated and legendary literary family. For more book reviews, meanderings and pontifications from the Library staff see our blogs at www.lewistownlibrary.org and click on “Library Connect”.